What if you had an enhanced 360° view of the world? In other words, imagine having the ability to process the collective perceptions of how others see you. Often times, the way we perceive ourselves and the way others perceive us are two very different things. Even experienced business leaders will persist in communication and organizational practices with the belief that everyone recognizes their “obvious” intentions, while overlooking costly misinterpretations that stem from different behavioral styles. These handicaps have always been unfortunate workplace inefficiencies that couldn’t be resolved — until now. 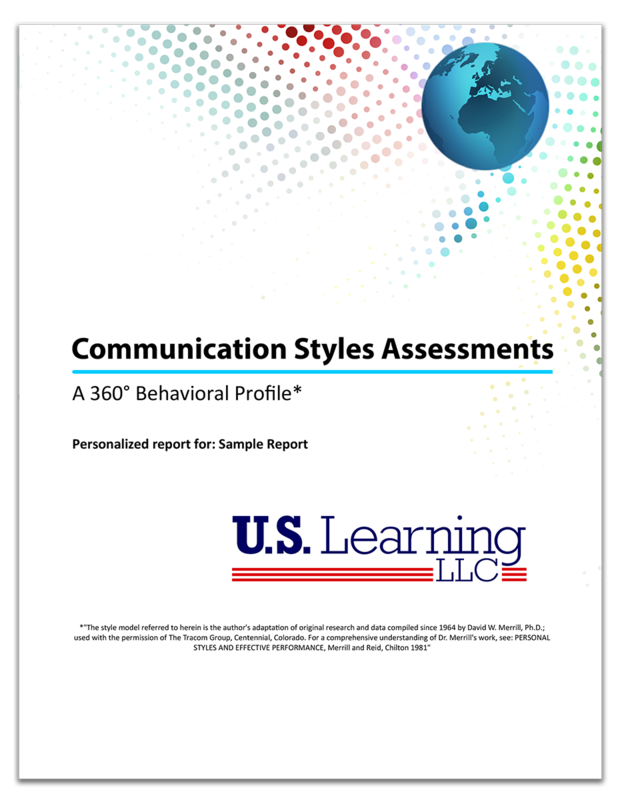 The Communication Styles assessment provides what is termed 360° functionality. A 360° assessment enables the user to compare their own self-assessment results with the “observer assessments” compiled anonymously by several (even dozens) of his/her colleagues. The result? An insightful report that bridges the gap between intention and perception. The Communication Styles user is enlightened and equipped with the knowledge to avoid the behavioral misunderstandings that can trigger workplace discord and interpersonal conflict. With the Communication Styles assessment, there are four primary behavioral styles. Each of these social styles has a very distinct and predictable pattern of observable behavior. Once you understand these patterns, you have the key to unlock productive communication with nearly anyone. Communication Styles report. Each report describes your behavioral tendencies and how those tendencies likely affect your interactions with others. 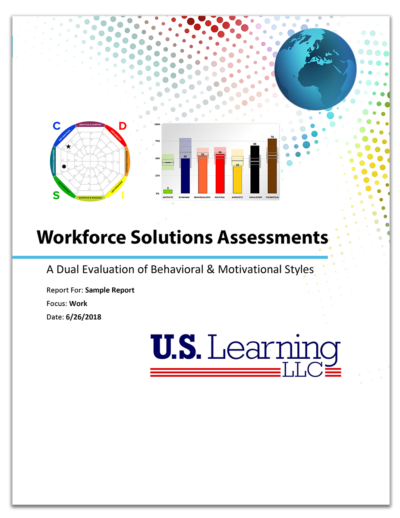 Just as importantly, each report provides specific solutions for optimizing interpersonal outcomes. Learn about your natural strengths and how to leverage them to your advantage. This alone is worth a fortune to you because most people never discover this about themselves. Learn about your weaknesses, so you can end much of your self-sabotage; eliminate negative traits that hold you back. Learn how you react under stress, and how to convert tension into positive energy. Learn about the five traits that both enhance AND undermine your personal versatility. Learn about the five traits that both enhance AND undermine your personal flexibility. Learn specific strategies to reduce conflict and increase harmony with others. Find out what really motivates you; accomplish more with less effort when you are able to better align your drivers with your environment. Learn new ways to help others see the “true you.” Just imagine how this information will improve your life. Learn how to quickly and accurately identify another’s behavioral style. Discover how to modify your behavior, so you can effectively connect with everyone by treating them the way they want to be treated. How valuable would it be to know exactly how your co-workers, direct reports, supervisors and clients perceive you? Do you think it might substantially increase your compatibility with others? Do you think it might measurably improve workplace communication and efficiencies? Decades of social science research tell us that the answer is YES. Invite anyone to take the same assessment you just took— but anonymously— on your behalf. You simply type in the first name and email address of business colleagues, clients, friends and family; that’s it… We do the rest! We send your desired observers an email note inviting them to complete an anonymous “observer assessment” of your social style. Once all of these “observer assessments” are compiled by our system, you are able to view your own Communication Styles eGraph that plots all the different ways people anonymously assessed you. You’ll gain incredible insights by contrasting how your colleagues see you at-large, versus how you had perceived yourself.